WILLIAMSPORT, Pa. – Thanks to a two interception effort in just his second career start, junior Mike Gentile (Havertown, Pa./Haverford) has earned a spot on the D3football.com Team of the Week, the website announced on Wednesday, Sept. 17. 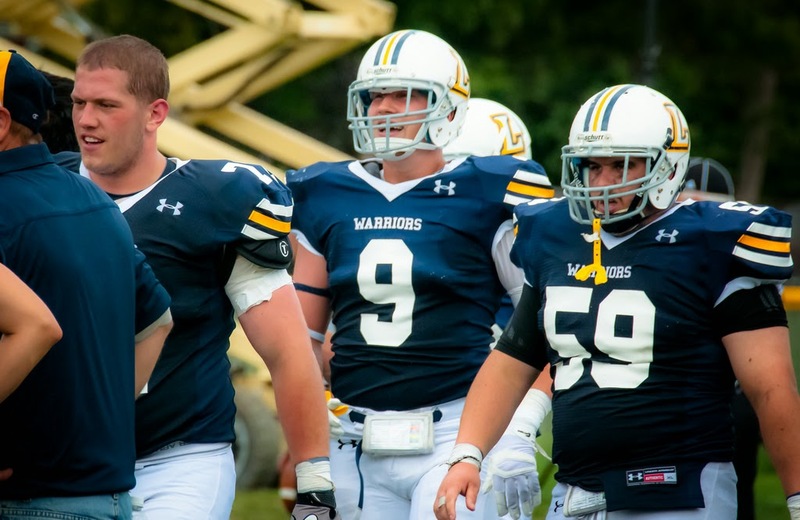 Gentile led the Warrior defense, as the safety notched two interceptions and added four tackles for the Warriors in a 26-0 shutout of Albright. Meanwhile, he was a part of a defense that tore apart the Lions' offense, allowing just six first downs and 114 yards all game. Gentile is the first Warrior to earn the defensive player of the week award since senior safety Tanner Troutman (Hegins, Pa./Tri-Valley) won it on Nov. 24, 2013. The Warriors get back on the field on Saturday, Sept. 20, when they host King's (Pa.) in a Family Weekend matchup at 1:30 p.m. at David Person Field. The Warriors will be looking for revenge on King's after a 28-24 defeat in Wilkes-Barre in 2013.